Unleash your inner secret agent with the Covert Pen DVR! This discreet gadget allows you to covertly record high resolution colour video and photos directly to the pen's built-in USB memory. It looks and writes like a regular pen, so no one will know you are actually recording! Simply press the button on the bottom of the pen to begin capturing footage or images. The possibilities are endless. Capture smooth, high quality video in 640x480 resolution and photographs in 1280x1024 giving you a clear, crisp image. Store over 100,000 photos or over three hours of video with the integrated 4GB flash memory. Connect the Covert Pen DVR to your USB port to recharge the built-in lithium polymer battery. Record for over an hour with a full battery charge. 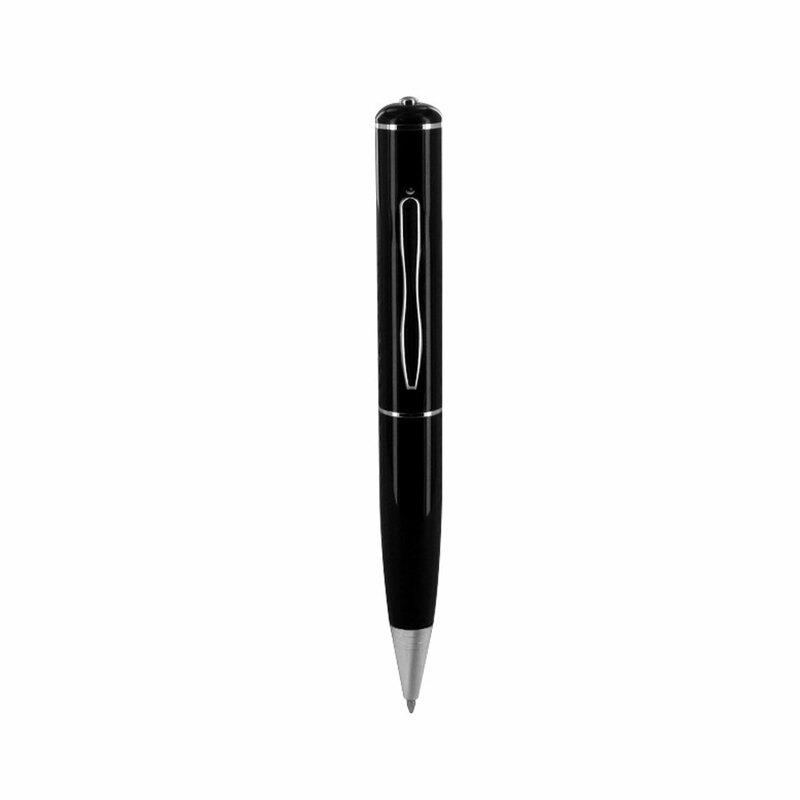 Fashioned in a desirable contemporary style, this Covert Pen DVR is classy and discrete. Please note that this product does not contain an audio recording functionality. U.S. law states that it is a crime to sell or possess an electronic device which allows for covert interception of oral communications.